I am t2 and have a family history of such…weight is usually stayed under 200 but am only 5’1″ so we all know what that means…also, I have high blood pressure and am a really picky eater. I don’t get meal planning and I dislike making meals ahead to microwave layer – yuck! So prices, starting points and I have bad anxiety so calling you will take me some time to make that happen. If you don’t like to plan or cook you could start incorporating a few easy changes that might help you achieve your weight goal. I understand I am 5’2 Denise and started out at 213lbs! Losing the weight is possible. I have been following your blog and favebook page and are very keen to get some help from you. I am a T1, 43 year old who has lived with diabetes since I was 9 (34 years). I live in Australia and would be really keen to see if you can help me online in anyway. I would be interested in your charges and how your personal coaching would works. Mt goal is to develop my fitness and strength along with loosing some ‘fat’ all while trying to maintain controlled blood glucose levels. I find the exercise and BSL maintenance so frustrating and never seem to get it right. I’m either filling myself with calories to get over low sugars or getting suffering with high BSL because of reduced basal rates that didn’t match exercise I did. My weekly routine consists of at least 4 HIIT sessions plus either a run or walk/run the other 3 days. Any info or direction would be so much appreciated. I have been a Type 1 Diabetic for the past 14 years and I have been struggling with keeping the motivation to manage it as well as know what is best for methods of control. The doctors cant seem to help and I’m losing hope. Please HELP!! Hello my nephew has just found out that he will be conquering Type 1. Very overwheming. looking to assist in meal prep for my sisters family. Love the zucchini lasagna idea. Thank you for posting the nutrition label! What is considered a serving size for the lasagna? It’s quite tasty. That portion serves 4 people. You can find both serving sizes and macros listed in all of the recipes. And your nephew + sister will find that it gets easier. Diabetes is never easy but it does become less confusing as they learn more and gain more experience managing it. I’d like some more info on your plan(s) please. Type 1 Diabetic for the past 22 years. Hope to hear from you! I just sent you an email. Please let me know if you for some reason don’t receive it. 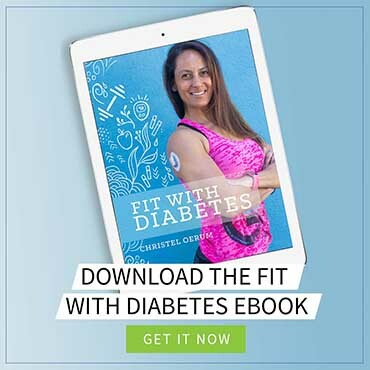 I am a 31 year old female with T2 diabetes (diagnosed 5 years ago) and I am looking for help in learning more about diabetes control and how to best loose weight and eat healthy. Please share your contact info and your coaching details. I just sent you an email. Please let me know if you did not receive it. Hi, i’m a type one diabetic. I’ve been living with diabetes since i was 11 and i’m 20 now. After having my kids i am looking for help with losing weight. i would love to learn more about this program. Hi Brianna – I just sent you an email with more details. Let me know if you have any questions. Hello, I’m interested in what this entails and also pricing? I’ve been type 1 for 24yrs (I’m now 28) am very active and eat very well, I currently am trying macro counting, I felt it worked for the first 3 weeks then went on a 1month holiday and am now 4 weeks back into and am feeling my progress has stopped. My main goal is fat loss and muscle gain. Hi Michelle – I just sent you an email with details. Would you please email me with details and pricing to go through a refresher course? I’m 53, been T1D for 46 years, need to find a way of making loosing weight and exercising not a chore to me. Thank you again for your help. Answers to your below topics would help me tremendously. Thank you. I have been diagnosed with prediabetes and have made some changes (no rice pasta bread sweets) but my test and see if other foods are good or bad is causing my blood sugar to spike. Could you send me your coaching information, so I can make some sense out of what else to do. Thank you so much. So here’s the deal. I have Type 2 diabetes and high blood pressure. I have tried Adkins, South Beach, and other low carb diets. I usually cave in after the 3rd or 4th day and start scarfing down a ton of carbs. which in turn makes me mad at me. My last A1C result was 8.3. That was two months ago. I am 54 years old and 5 foot 7 inches tall and weigh 190 lbs. I goal is to lose 20-30 pounds and get my A1c down to a normal score. As far as meds. I take metformin and glyburide for diabetes maintenance. I take lisinopril and amlodipine for blood pressure maintenance. So there ya go. Sounds like you’ve given it a try but haven’t found a meal plan that would work for you long term. It has to be sustainable and fit you and your lifestyle in order to work. No “one” diet will fit all, the diet that will work is the one that you can stick to. I’d be happy to email you details on how I work with people if you’re interested. Hi! I’m interested in learning more about the coaching program. Can you email me info, please? Thank you! I am also interested in prices and what it would entail. Thanks. I am so happy that I found your blog. I have just been diagnosed with type 2 diabetes and am trying to figure it all out. Eat now, don’t eat this, workout this way and oh by the way because your numbers are so high you have no room for wiggling. I think you just saved my sanity with your meal plan. Thank you! One quick question, I have be prescribed to have between 30 – 45g of carbs at meals and 15 – 20 for snacks. Based on your meal plan should I modify the protein ratio or can I keep it the same? I’m so glad you find the plans helpful! Christel, I too am happy to have found this site and the challenge. I calculated my calorie need and after the reduction for weight loss it comes out to around 2900 calories, am I calculating correctly? 5’9″, 285lbs, office job with light activity. I was given the same advice as Victoria 45-60 carbs per meal and 15 at each snack. I feel like my numbers have never been so high. I look forward to your meal plan. Calculators are based on averages, so they are meant as guidelines or starting points. 2900 calories don’t sound completely off for your size. However, if your medical team has given you other directions (the 45-60 carbs plus a calorie target) you might want to stick to that or have a conversation with them on how they got to that recommendation. If you were to eat 165-210 g carbs per day, that would be about 660-840 calories from carbs. At a 2900 calorie diet, carbs would then account for 23-29% That’s not way off from what I have in the plan. I’m interested in seeing some prices! Megan, I just sent you an email with details. Let me know if you have any questions. Hi! I am interested your coaching program! Could you please send over the information. Thanks! Hi Carmen, I just sent you an email. Looking forward to hearing back from you. I’m a 63 year old female and I have had T1 diabetes for over 43 years. I have been on an insulin pump since 1999. My exercise consists of walking (treadmill or outside 3X a week) and yardwork, gardening, plus housework. I am 5’5 and weigh 132 pounds so I definitely don’t need to lose weight. I can’t seem to gain weight which they advise me to do. My muscles (what little i have) are weak and I do experience low blood sugars without any warning. I would like to start resistance training. Can you give me info on this and how much the cost would be. I am retired and on a limited budget. Thanks for all you are doing for the “sugar people”!!!! I am interested to find out more about your pricing, I really want to lose weight, which I’ve been having trouble. If you click the “contact me” button in the post you can send me a direct message. Then I will send you all the information you need. Interested in your price for this. Can you give me an idea! Hi Christel! I live your blog and what you do to help people. You look great and are an inspiration. I push myself pretty hard at the gym too and have had minimal issues doing this with type 1. Of course, keeping on top of where my blood sugar is at at all times is the biggest thing. My question for you is, do you need credentials to do this work? I am interested in starting a t1 food blog. I’m pretty sure just sharing anecdotal experience and recipes would be fine without earning any certifications. Do you know of any that might be helpful in my endeavor?